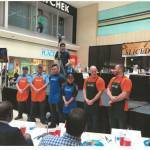 Three teams, from CCGA, Windsor Police Services & Essex-Windsor EMS, battled it out before a panel of local celebrity judges, and a live audience, to turn simple, local food ingredients into two delicious and nutritious meals. Each team had two representatives working together to incorporate “mystery basket” ingredients into meals or snacks. 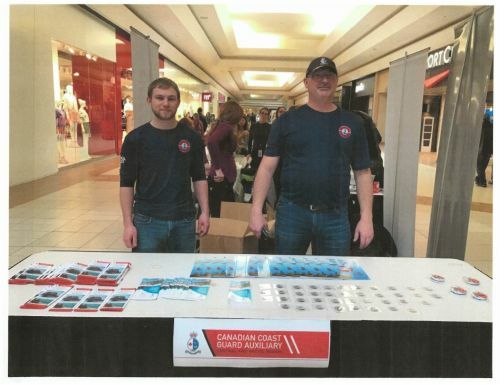 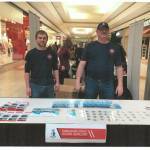 Herb Ruthven and Jim Oakley had a cook off against the Police and EMS, while other unit Members, Dan Jenner, Keith Affleck and Sheila Horen worked the CCGA table and handed out some CCGA Keychains, Colouring Books and Volunteer Brochures. 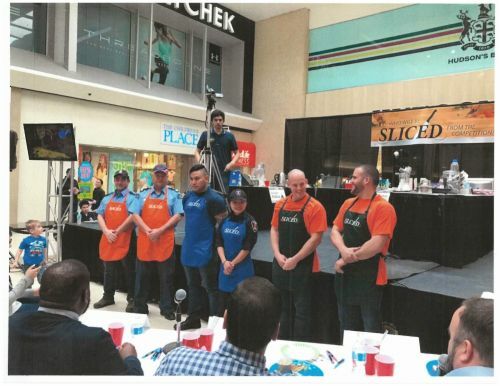 Unfortunately, The Colchester Guardian Rescue Team were the first ones to be "sliced" and the EMS ended up winning the competition. 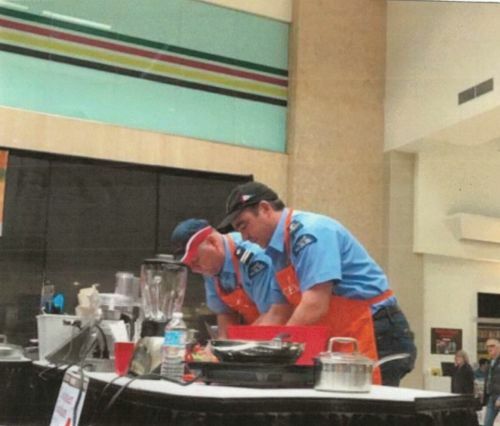 Overall, it was a great event, they had fun and the CCGA got a lot of attention from local media and audience members.